Join us today as we continue our look at the history of the papacy with Pope St. Hyginus. In the episode, hear about the gnostic Valentinus and a bit about Godparents. 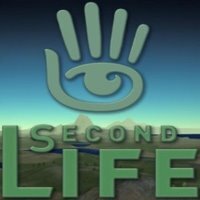 A listener tells us about the game Second Life. Send e-mail questions, comments, and voice recordings to catholicunderthehood@gmail.com. You can also leave voice mail at 1-740-936-4354. This entry was written by sbeshonertor, posted on August 25, 2006 at 8:00 pm, filed under History, Podcast. Bookmark the permalink. Follow any comments here with the RSS feed for this post. Post a comment or leave a trackback: Trackback URL. Thanks for transmitting my message about the Campivallensis Catholic Meditiation Centre in the virtual reality game Second Life. I hope you will find the time to drop in and visit the centre yourself, and that other listeners will do so as well. It can be a little initmidating for new players at the beginning, but the basics can be picked up pretty rapidly. If you or anyone else plan to come see me in Second Life, I’d be happy to communicate with you in advance to give some tips to make the process go as smoothly as possible. My avatar’s name is Gonzo Mandelbrot, and I have a real-world email address for him at gonzoman@videotron.ca. Feel free to drop me a line with any questions or to get pointers on how to join Second Life.